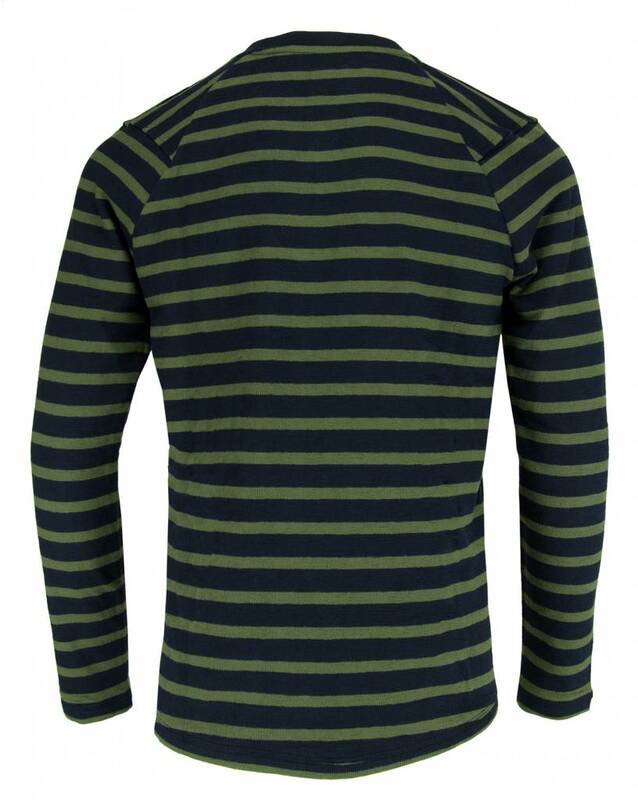 Striped, thin knit sweater by The Goodpeople, model Stall Turn. 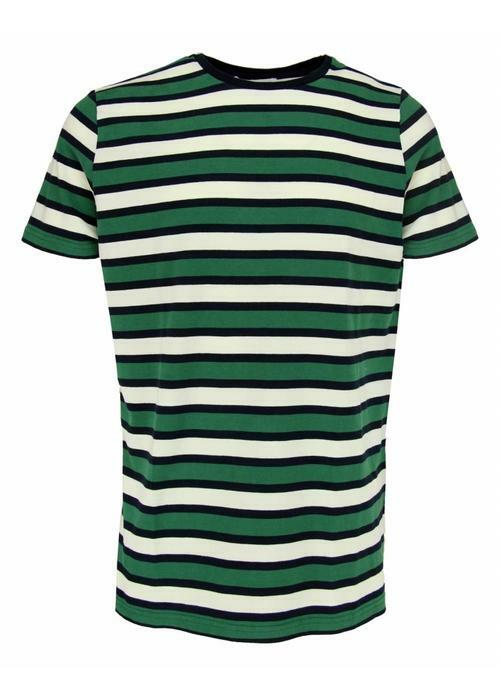 This Dutch brand has a nice casual collection with comfy fashion. 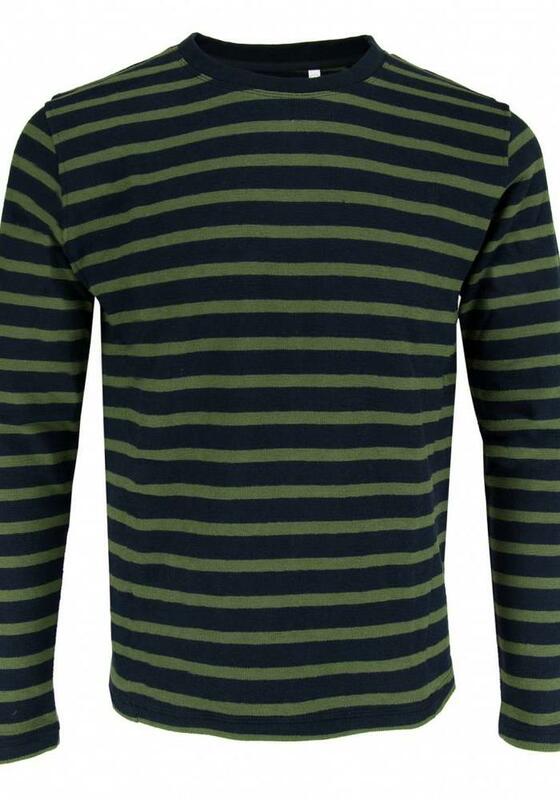 This green with navy striped sweater is made of cotton. 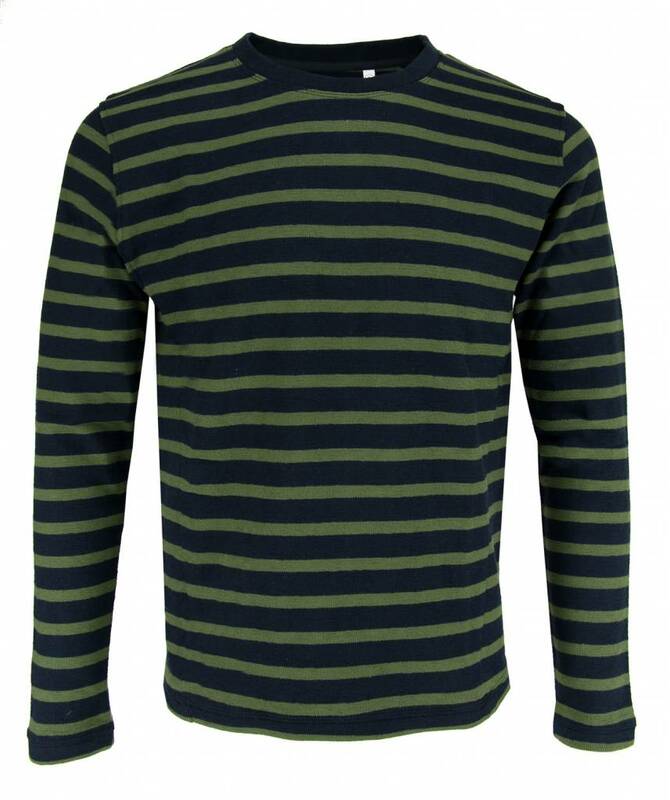 This The Goodpeople sweater combines nicely on the army green chino of The Goodpeople. 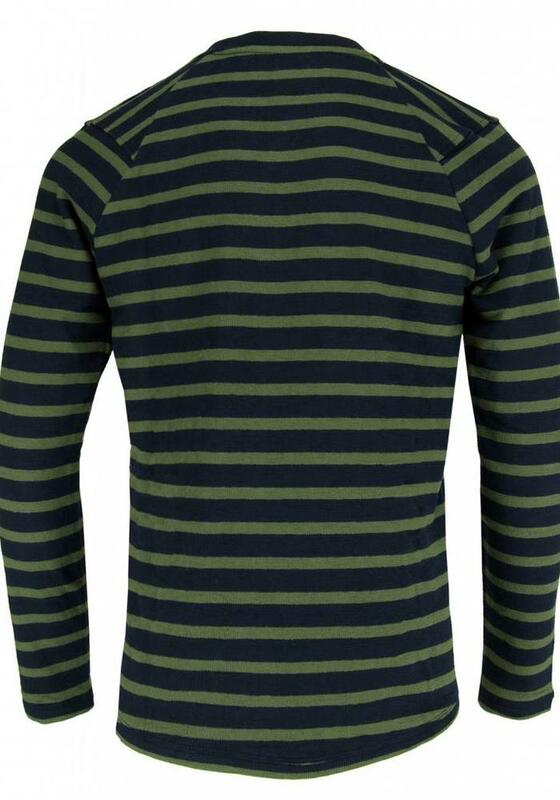 The sweater has a normal fit and size.